We know that most of the homes in Australia are made without insulation and have only single glazed windows. Therefore, these homes are losing up to 50 to 60% of their heat. Nowadays there are some new rules and regulations framed by residential housing body of Australia which states that all newly build homes should be equipped with double glazed windows. In a country like Australia where weather is so unexpected that it reduces to very low temperatures during the winters, so if a house is only having single glazed windows then there are chances that cold winds can enter easily. You should install double glazed windows to maintain a normal room temperature and to ensure that you are getting proper heat, you should ensure that you are making your room warmer than before. It can save cost of room heaters. In this article, you will read about double glazed windows and its advantages. 1 Double glazing! What is it all about? Double glazing! What is it all about? Double glazing technology can be seen in double glazed windows where there are two pieces of glasses and they are completely sealed together but there is proper air space between both of the glasses. It is same like single glazed window and it is sure to fit your window frame properly. This is one of the most important feature or advantage of the double glazed windows that they can maintain a warmer temperature inside your room so that you should not feel cold inside the house. You can recover the heat which you tend to lose in a single glazed window. 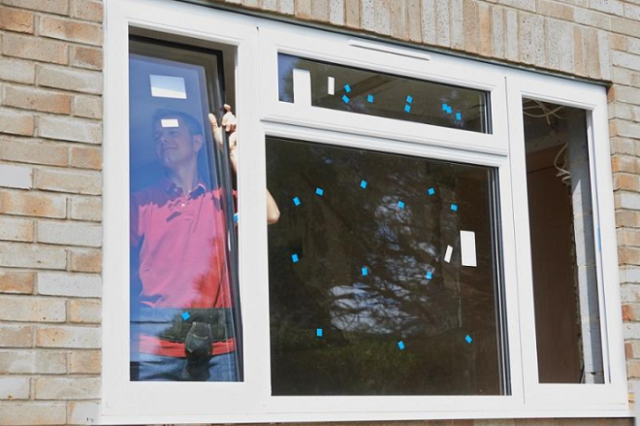 You will get natural sunlight which is required for your room and your room’s temperature will not go down after installing double glazing windows. If you change your windows from single glazing to double glazing you can save a lot on your energy bills. By installing double glazing windows, you will not require room heating system which might be required in single glazing. By installing double glazing windows, you can also save environment because room heaters are not at all recommended by doctors as they produce chemical components. It’s better to install double glazing windows so that you can get natural sunlight. We know that when we place our home on an online website to sell then we will be most likely offered less amount because after a period of 10 years or you can say 15 years the resale value may get down because of the insulation issue. If you install double glazed windows at your home you can get a good resale value later because it can increase your home’s value drastically. The purchaser will also want to buy a home that is equipped with latest technological advancements. After reading the whole article you must be thinking that you will only get heat after installing these windows but you need to know that these windows are specifically designed to insulate your homes from harsh low temperature conditions so that you get cooler temperature even during summers. Gouble glazed windows are a must have thing which need to be installed in every home where there is a need for natural insulation. If you are looking to purchase double glazed windows then you should get quotation from different suppliers so that you can get a fair price. It can work in a great way if followed in a right manner.